During the Sioux City Mayor’s Youth Commission (MYC) planning session in 2015, members wanted to do something to improve literacy with people of all ages. In order to give people greater access to free books and encourage reading, members voted to place Little Free Libraries in various places in Sioux City. MYC, in cooperation with the Sioux City Art Center and Siouxland CARES, painted donated Sioux City Journal newspaper racks, transforming 10 of them into Little Free Libraries®. The concept of the project is “take a book, return a book”. The public is invited to borrow a book, as well as share their own books with others by placing them into the brightly painted stand-alone structures. MYC members spent several weeks painting the libraries with the assistance of the Sioux City Art Center Education Department staff. Members then conducted a book drive to fill the new libraries. 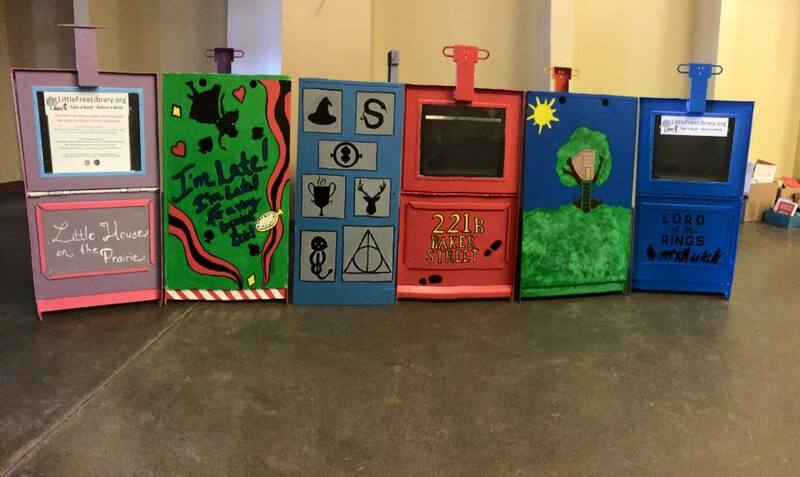 Members will also maintain and monitor the state of the Little Free Libraries. 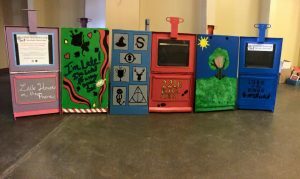 In painting the Libraries, members of the Youth Commission selected literary themes for most of the transformed newspaper stands. They also secured locations for the new libraries.